If you haven't noticed, zombies have taken over tv, books, movies, and video games. They're the new monsters to love. And why wouldn't they be? Zombies don't care if their clothes are a little dirty. They don't freak-out if their make-up is smudged or their hair is tousled. They're not in a panic to get to work on time, they eat whatever they want whenever they want, and they are just good at being mellow. So we totally understand the desire to want to vacation as a zombie for a few hours. Not permanently mind you, just a brief visit to the world of the undead in order to de-stress a bit. If you're with us and want to moonlight as a zombie, you better look the part. Get dirty. Dishevel yourself. 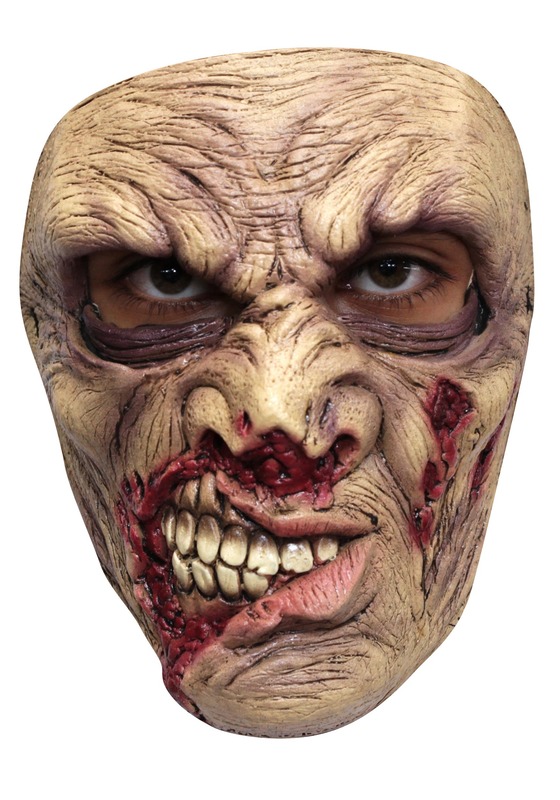 And perhaps try something like our Adult Zombie #8 Mask. It's latex and grotesque so you don't have to worry about disfiguring your own face to fit in. Top it off with some raggedy clothes and you'll be ready to ramble with the best of them.